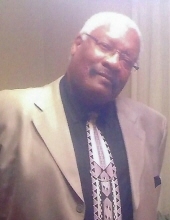 Spain, Felton L., 67, of Louisville died Wednesday August 8, 2012 at Sts. Mary & Elizabeth Hospital. He was a retired employee for the Ford Motor Company, a Viet Nam Air Force Veteran and a member of Jehovah’s Witnesses. He is survived by his wife Gloria J. Spain; a daughter Nina Burkhead (Nick); two sons Isaac Spain and Jermaine Spain (Yvonne); a step daughter LaShon Porter-Stedham (Jared); a brother Sanford Spain and 13 grandchildren. A memorial service will be held for him 4:30 PM Saturday August 25, 2018 at the Kingdom Hall 1122 Cristland Rd. To send flowers or a remembrance gift to the family of Felton L. Spain, please visit our Tribute Store. "Email Address" would like to share the life celebration of Felton L. Spain. Click on the "link" to go to share a favorite memory or leave a condolence message for the family.